There is the potential that custodians themselves could be cross-contaminating clean, laundered cloths before they ever get reused. “If they’re folding these towels, they need to make sure they disinfect the tables first,” says Gerba. “And they could be taking their dirty laundry down and piling it on the table before putting it in the machine,” which is also a big no-no. If those laundering the towels have dirty hands, they, too, could be contaminating the cloths. Gerba explains that hands get heavily contaminated when people put dirty laundry into a washer, then remove wet laundry to put it in the dryer. Hands need to be washed between these tasks, he says. “Improper hand hygiene is the greatest cause of HAIs,” says Attman, who adds that it’s beneficial to set up a hand washing compliance monitoring system to make sure that people wash their hands properly and as often as required. 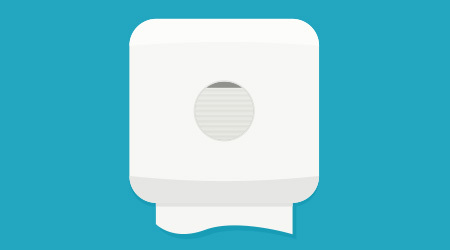 Switching to wet wipes or disposable microfiber or wipers isn’t enough to curb HAIs. Distributors must be sure to educate staff on how to properly clean for health. Cleaning can’t be done by sight alone, it must also remove the microorganisms unseen by the naked eye. “Many hospitals use disposable microfiber cloths and even those require education,” says Attman. Custodians need to know the areas where infectious agents may lie or likely be spread; some obvious areas are bed rails and door handles. Cleaners need to pay close attention to those areas and know the proper dwell times, including how long is the surface supposed to remain wet in order for the sanitizer or disinfectant to be effective. Those already making the conversion to disposable wipers have found they offer a safer alternative to cleaning cloths. They do not contain the contaminants found in their launderable brethren, yet are still strong, absorbent and cost effective. With disposable wipers, cleaning staff pulls out a clean wiper out of the box for every surface; and these wipers are always clean.